In light of the recent Kim Kardashian and Kanye West engagement news, we have to ask one very important question: Will Beyonce, The Queen, attend this wedding, which is sure to be one of royal proportions? Beyonce and Kim have an unusual history. It’s no secret these two aren’t best buds, but when Kim started dating Kanye West people thought the two might grow closer, especially since Kanye West and Jay Z are close. Honestly, Beyonce really doesn’t have a whole bunch of time to be playing the BFF game with a Kardashian; Beyonce’s class is so classy it doesn’t even register on the classy scale, and she recognizes that the Kardashian name attracts a particular kind of “attention” that she, more likely than not, doesn’t want clinging to her image. 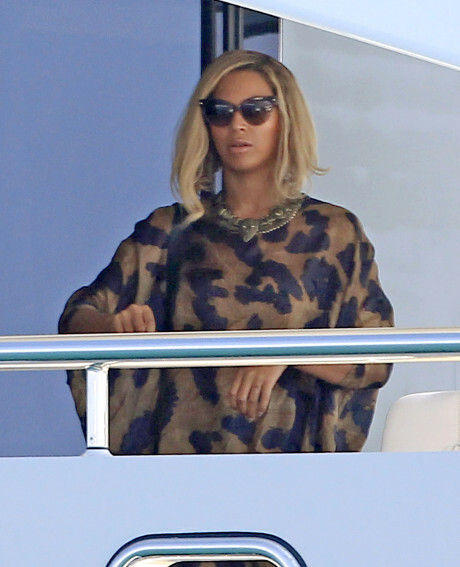 But just because they don’t hang out every day doesn’t mean Beyonce won’t attend the wedding. Chances are she will, alongside Jay Z, and everyone will exude their fake smiles and be on their merry way. What do you think? Will Beyonce attend the next royal wedding? Take our poll below. All we need is a simple YES or HELLZ TO THE NO. Will Beyonce Attend Kimye’s Wedding?